Inspired by the famous sour ales of Belgium, this beer starts as a Saison and undergoes several transformations, fermented with the additions of Lactobacillus, Brettanomyces and two Saison yeast strains. 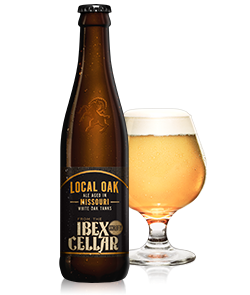 The mixed-fermentation process creates all the personality you expect from a beer like this, with tart and fruity traits introduced from the Lacto and Brett, with a light malt character. Aged gracefully in our elegant foeders hewn from locally grown Ozark timber, this is where the beer develops a lot of its character.